According to iPhone Alley, Apple will be removing any iPhone application that enables the Japanese Emoji smilies. 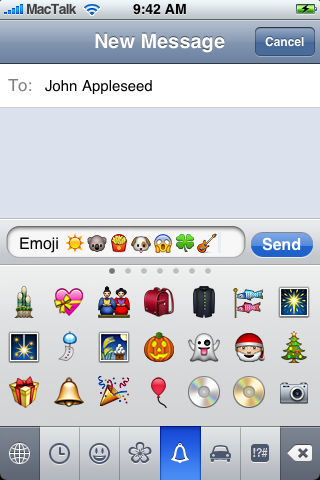 This will not remove Emoji from those who already enabled it on their iPhones. There is no reason for Apple to remove it so I would probably guess that the Japanese telecos asked Apple to remove it for some reason. To enable Emoji on your iPhone follow these instructions by Yousef Raffah (Arabic) or iPhone Alley’s Emoji tips.